Robi 12GB Internet Tk 301 Validity 1 Year (Best Deal Robi)! Robi launches an excellent internet package for some special customers. 12 GB @ Tk 301, package validity 1 year. Robi launches an internet pack for the first time, validity 1 year. It’s a really amazing deal for 2019. 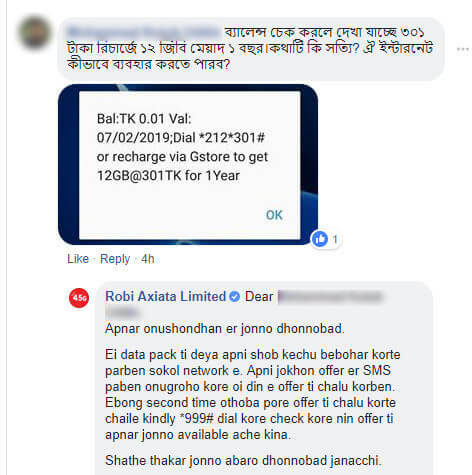 Robi 1 year duration internet package 2019. [email protected] 301 for 1 Year offer for specific customers, this offer is not available to anyone. Customers receiving SMS will be able to avail this offer. The offer is given to those who are running Robi SIM but not using any internet. Robi specific customer can avail this offer. Customers receiving SMS from Robi can avail this offer. Make sure by dialing *999# to check offer eligibility. 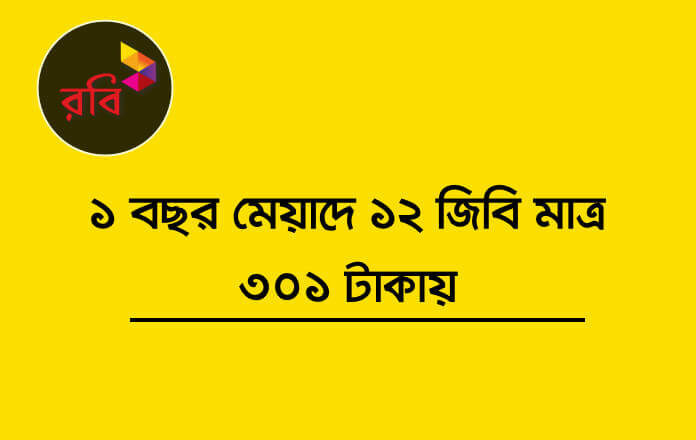 To activate this offer recharge exactly 301 Tk by Robi GStore. 2G /3G / 4G network support.